"Bargain" and "Gourmet" in the same sandwich? 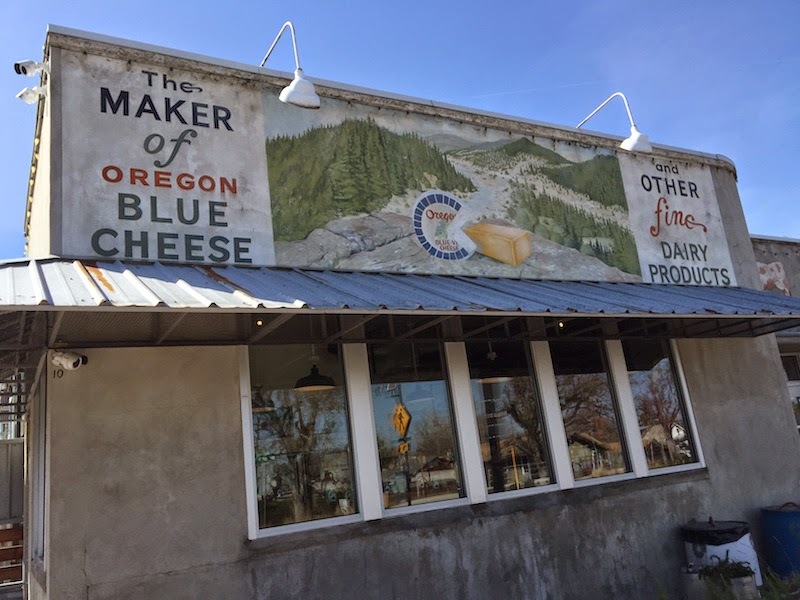 Just north of Medford, Oregon in Central Point is the Rogue Creamery. 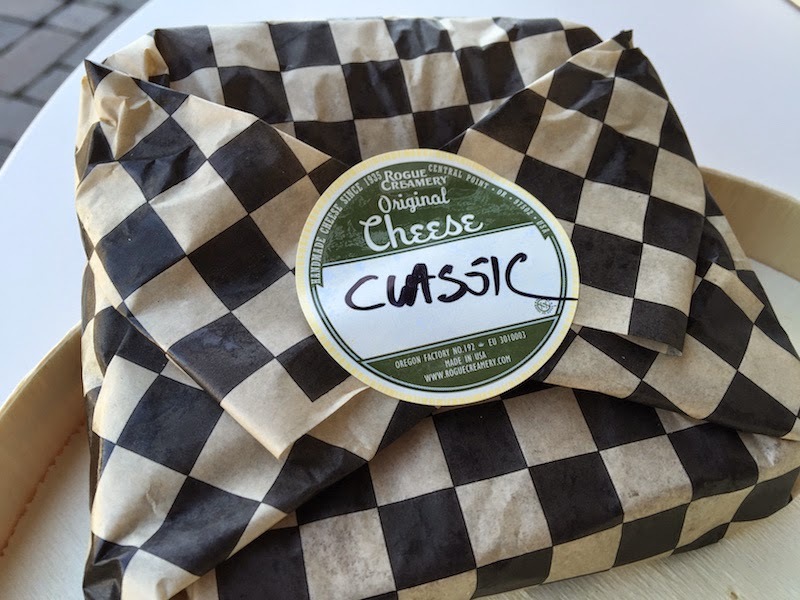 For over 80 years, Rogue Creamery has been making cheese. 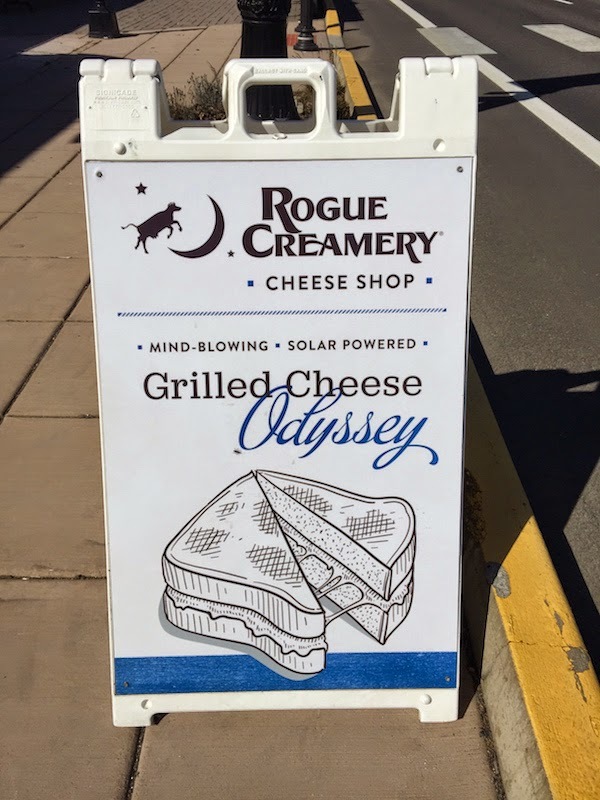 Stop by this Rogue Valley cheese shop on the Oregon Cheese Trail and you can get a grilled cheese sandwich made with their delicious cheese. 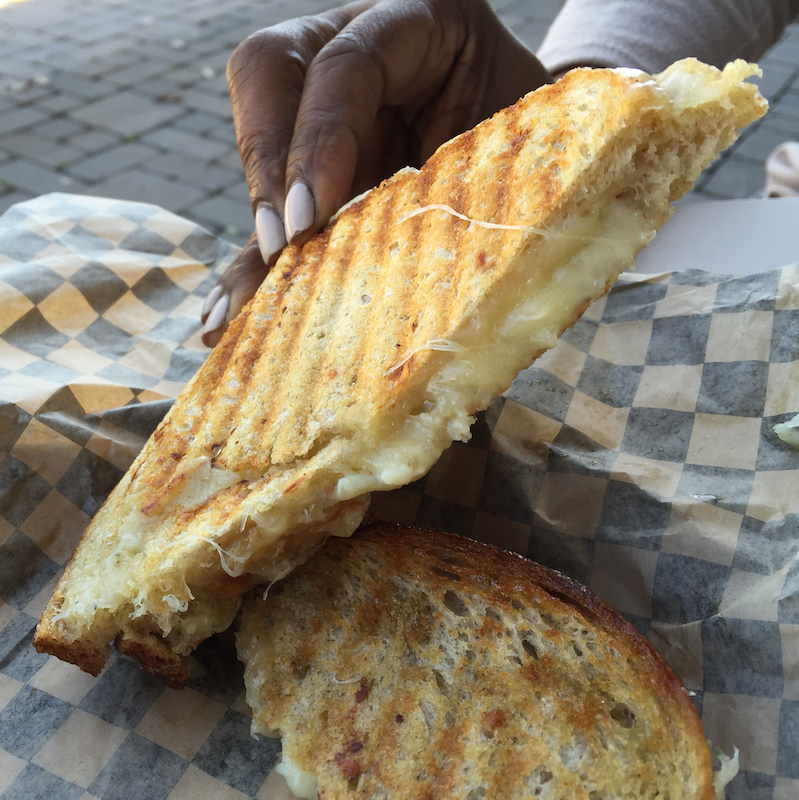 Read my full review with pictures of the Rogue Creamery Cheese Shop grilled cheese sandwich after the jump. The day we arrived at the cheese shop there were two kinds of grilled cheese sandwiches on the menu: the Classic, and the Sebbie's Special. The sandwiches are made to order and carefully wrapped. The Classic is Oregon Blue cheese, cheddar cheese, and honey. Creamy and sweet. The bread was grilled perfectly and wasn't greasy. My wife said this was the best grilled cheese sandwich she's ever had. The Sebbie's Special is made with Rogue Chocolate Stout Cheddar cheese. It tasted more smoky than chocolatey, and I liked this one even more than the Classic. Check out the prices on these sandwiches! Where else can you get a gourmet grilled cheese sandwich for five bucks? If you are driving between California and Oregon, you have to make the very short detour from Highway 5 to grab one these delicious sandwiches. 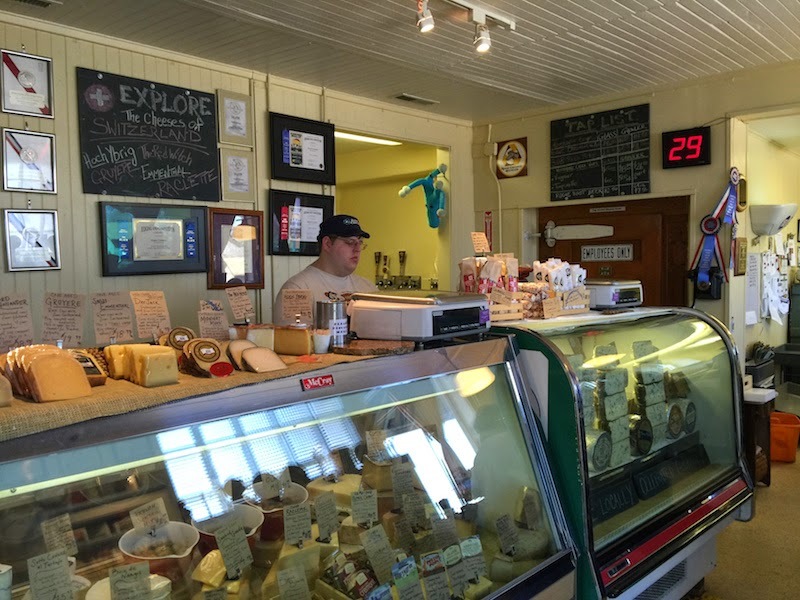 There is also a cheese deli, gift shop, and wine-tasting at the Rogue Creamery cheese shop.